All The Signs Are Pointing To Just Read It! Every Friday morning I skim around online for interesting news to share, and often times I get stuck with nothing all that exciting to my own eyes. I promise one thing though, there are always lists upon lists to recommend novels to read. I often allow myself to forget my task of finding news and I end up looking at one of these lists because curiosity is my best friend. Eventually, I get lost even more in learning about new books and give up on finding any news to share with my followers. As of late, I have seen one novel again and again. Almost to the point I’m feeling it might be a sign for me to just give in and read the damn book. 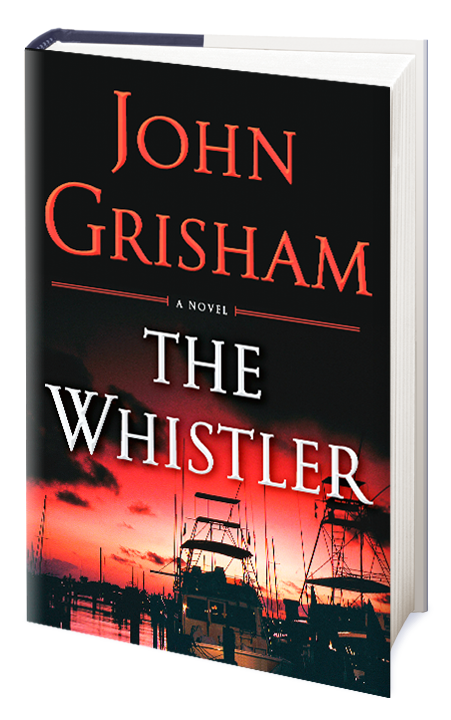 It feels as if The Whistler by John Grisham is a novel I will no doubt be buying. The catch? I don’t know a thing about the story written on the pages. All I know is I see it all the time. The simple yet beautiful design to the cover has captured my attention. (That’s what a cover is supposed to do.) With Christmas around the corner it is hard to justify making any fun book purchases because there’s always the what if thought of someone purchasing the novel for me. I believe it would be safe for me to buy this novel because it’s a bit outside of my usual fantasy, romantic, magical choice. At least, I think…I better read what this novel is about before I dedicate anymore thought to making the purchase. After reading the summary, I can only say one word. WANT! This novel seems heated and intense. Okay, so maybe I won’t wait to see if someone bought this for me. Now the big question is paperback or electronic? Since I’ll be traveling I think buying it to read on my Kindle or Nook app will be better. Opinions? I think this will be a great novel to take with me on vacation to visit my family this holiday. Besides, it will be a vacation so I don’t have to work on my own career. It’s way past time for me to get lost in a good book. Note: While I am on vacation, December 29 through the end of the year, I may not post a whole lot through my blog. It’s Christmas time anyway so it’s time to spend time with your family. Get off the computer! As I write this I realize I’m going to be reading while I’m visiting. Getting lost in the pages of a book is almost the same as getting lost in the screen on our computers or phones, huh? Anyway, Happy Holidays!! Have a great rest of the year!